"Sampath Speaking" - the thoughts of an Insurer from Thiruvallikkeni: ICC T20 WC - Police Officers ..... and something interesting ! ICC T20 WC - Police Officers ..... and something interesting ! Who is your favourite Cricketer and why ? – are you following T20 WC and do you feel you have seen this Officer on right somewhere !!! At Dharamsala, a dead rubber in a qualifying tournament disrupted by rain – there is not much reason for Ireland and Netherlands to battle it out – before the tournament started, few would have given Oman a chance of qualifying ahead of Bangladesh and Ireland from their group. Having beaten Ireland in a last-over thriller, Oman, whose game against Netherlands was washed out, will head into their knockout clash against Bangladesh in a few hours from now. But confidence alone won't help them if the iffy Dharamsala weather intervenes. It has been raining for the last two days, the first match is delayed by rain. If there were to be another washout, Oman would endure heartbreak as Bangladesh are marginally ahead on net run rate. For the benefit of those not following – in Group A were : Bangladesh, Oman, Ireland & Netherlands. In Group B were : Afghanistan (qualified); Zimbabwe, Scotland and Hongkong. Speaking about novices, Cricket is a fitness-focused players, at first look one would think 280lb Dwayne Leverock was an anomaly on the cricket field. In the lead-up to Bermuda's first appearance in the World Cup, he quickly built up a fan base on account of his large frame. 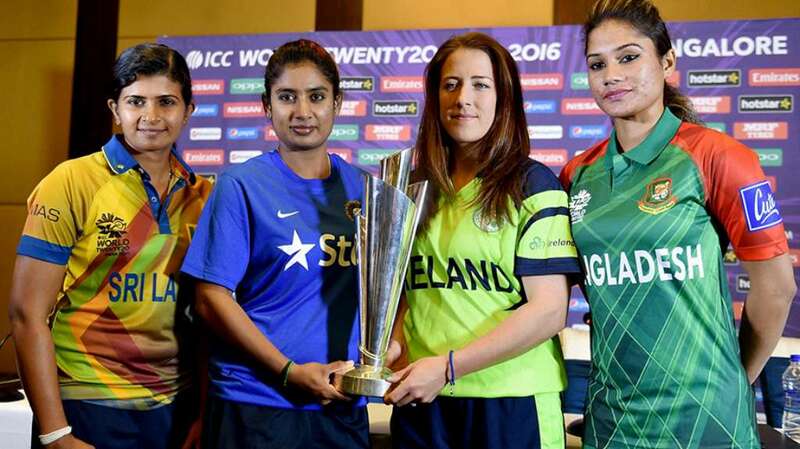 The ICC T20 Women WC is also on : In Group A are : Australia, Ireland, New Zealand, South Africa and Sri Lanka. In the other group : Bangladesh, England, India, Pakistan and West Indies. 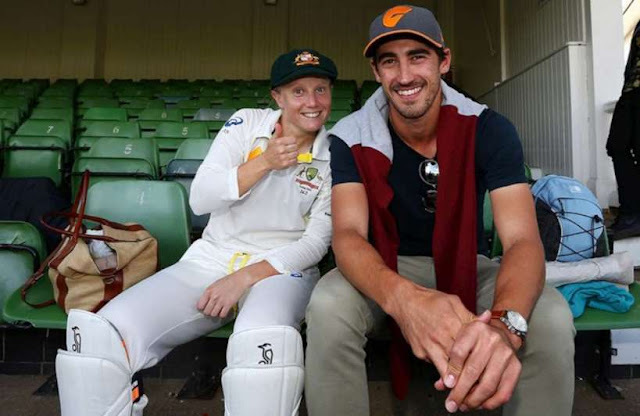 Among the stars is Australian women’s team wicketkeeper Alyssa Healy, niece of legendary gloveman Ian Healy and she is engaged to Aussie speedster Mitchell Starc. Among the New Zealand women's team are multi-faceted personalities. While skipper Suzie Bates is a double international--having represented New Zealand in both cricket and basketball, her teammates Sophie Devine (hockey and cricket) and Felici ty Leydon-Davis (badminton and cricket) too belong to the same league. The team also has Leigh Kasperek who played international cricket for Scotland, before shifting to New Zealand. The side also boasts of two players --Katie Perkins and Erin Bermingham ---who both double up as policewomen when not on the cricket field. I have had my share of car chases and arrests, but have managed to balance both my duties as a cop and as a cricketer,“ the 27-year-old Katie told TOI during a chat. The earthquake that shook Christchurch in 2011 had a deep impact on Erin's life. The man in uniform at the start is, yes, Joginder Sharma, the man who bowled that eventful final over in 2007 World T20. As it comes in "Who will bowl the last over" advertisement, when everyone would had advised many things, Captain MS Dhoni put his faith in a relatively unknown bowler on an occasion as big as a World Cup final – and the man rewarded his captain's trust in him. Misbah-ul-Haq played a stupid scoop shot after hitting a six and was caught by Sreesanth, sending India into delirium, and Pakistan into depression. Joginder never played a T20I for India after that. He did play in IPL for CSK. Life was tough for this mentally tough Haryanvi. In Nov 2011, Joginder was seriously injured when his car rammed into a BPO vehicle in Dwarka in south-west Delhi. Joginder suffered head injuries and was out of action for long time. 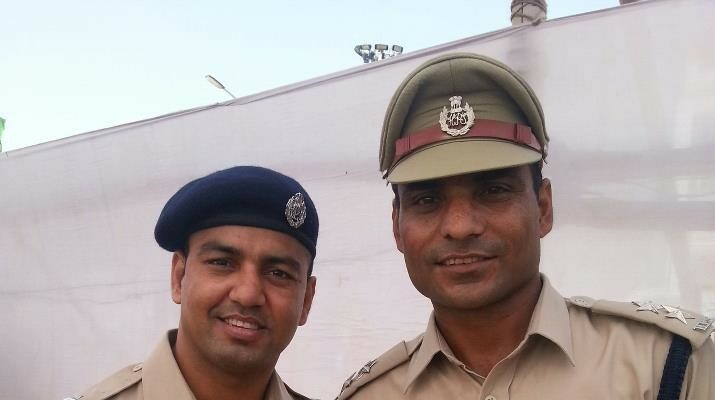 He did come back to play Ranji – now he has become a police officer, a Deputy Commissioner with Haryana Police. That bulky man ~ Russell Dwayne Mark Leverock too is a policeman who also drove prison van. 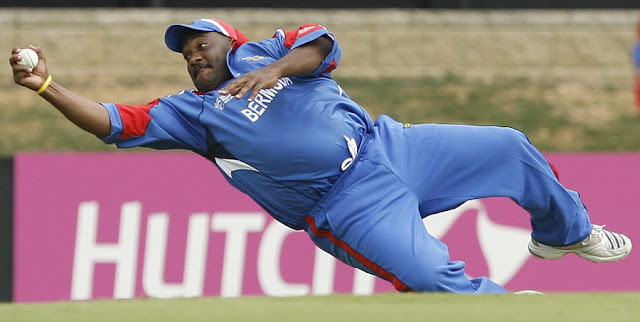 Remember that catch he took off Robin Uthappa in that match ! 13th Mar 2016. @ 15.45 hrs.